While browsing talat kuadin in Vientiane one day, I came across many shops selling silk textile supplies. I was stopped in my tracks when I noticed the bright colours of silk in a display case. 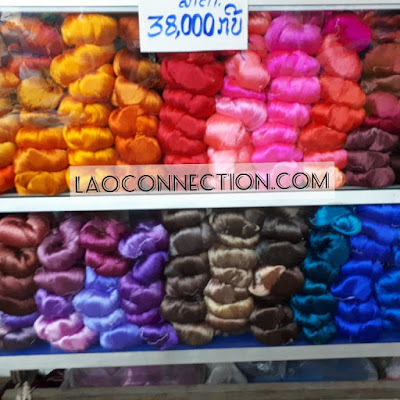 It was a rainbow of silk thread that almost looked like hair. They way they were arranged created such a beautlful gradient of different colours.